Microsoft Outlook consists of two data files based on the type of email configuration. By default, IMAP configured account creates an OST data file and a POP3 account creates a PST file. Offline storage table OST file is prone to corruption due to following reasons: 1) Virus Infection 2) Improper shutdown of Outlook 3) Sudden power outage 4) Bad sectors on hard drive 5) Irregular network connections. If the OST file has become corrupted and inaccessible, offline folder access is also lost. The only solution to this issue is to convert the inaccessible OST data file to a PST file with an Outlook OST to PST converter. The conversion process not only repairs the corruption but also recovers any emails, notes, calendar items lost due to corruption or deletion. 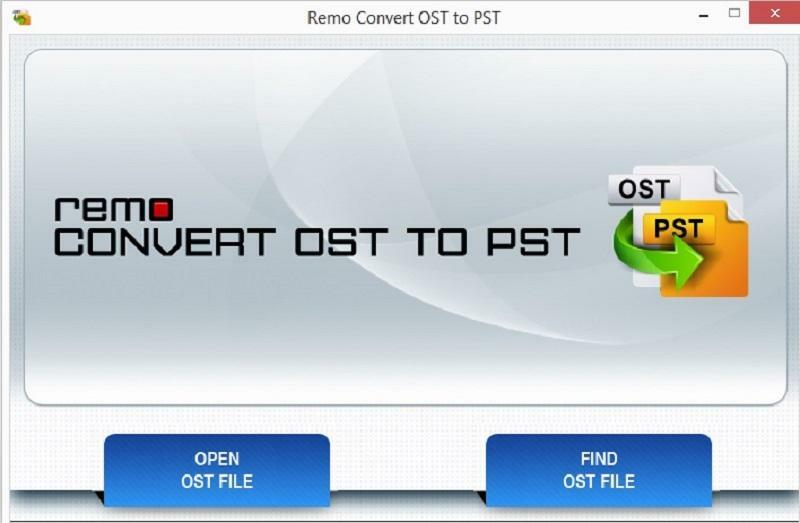 Remo Outlook OST convert to PST is a well known OST file converter used to convert a corrupt OST file. This Software has gained it popularity for its interactive user interface that is quite self explanatory, hence any user can convert OST to PST file without any difficulties. However if the conversion process still requires any further troubleshooting, the user can always contact the technical support team available round the clock. During the OST to PST conversion process this software creates a reference copy in a PST file format and incorporates all attributes of the file. The tool reproduces the original file structure of OST file and it regains the access of all Outlook attributes like email, calendar, events, notes, settings etc. The OST file converter supports data file created in Outlook 2016, 2013, 2010, 2007 and 2003. It is also compatible with all versions of Windows starting from Windows XP to Windows 10.